No part of this site may be copied or reproduced without written permission. Privacy statement: We do not in any way track or register visitors to the site. Due to the owner's retirement this site is maintained for archival purposes only. Please use the menu to the left to start drilling down into the knowledge base. We welcome enquiries from construction companies, housing associations, estate agents, public sector agencies and private individuals wishing to build ultra-low energy high standard buildings or undertake state-of-the-art renovations and who require expert help. The passivehouse standard represents a quantum leap in build quality compared to normal UK methods and standards and there is only a handful of experts in this field in the country. 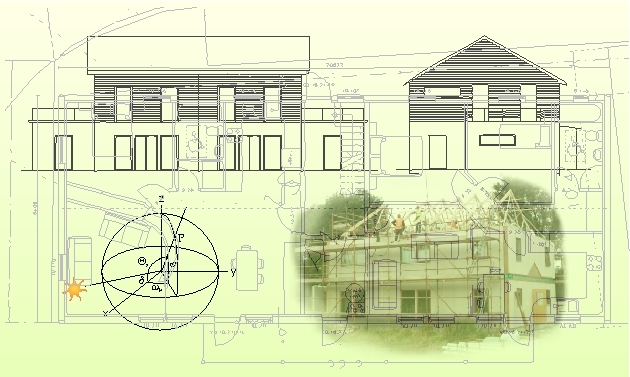 Passivhouses are designed scientifically and individually verified using objective quality control methods - there is no such thing as a passivehouse 'lemon'.